There are no two ways about it: uprooting and moving to the United States is a big decision. That said, it’s so often a worthwhile one for those looking to create better opportunities for themselves and their loved ones back home. And while the transition to living in the United States may be difficult on the surface, it can be made much smoother when you understand the expectations of making the switch. We’ve outlined six questions all prospective expats should ask themselves before making the commitment. Having these answers can help you avoid “what-if” situations and essentially keep your priorities in order as you pursue the American Dream. The most striking concern for anyone moving abroad is obviously going to be money. However, the question of getting your finances in order is two-fold. Firstly, it certainly pays to understand what it’s going to cost upfront in terms of budgeting the trip abroad and housing. Having a nest egg and over-budgeting for that initial trip is a smart move as you never know what sort of unexpected snags you might hit along the way. Yet you also need to consider aggressive budgeting to squeeze the most out of the money you are making abroad. For example, consider how every country is different when it comes to sending remittance back home. Think about it: if you’re sending thousands of dollars home on a regular basis, every cent you can save counts in the long-run. From exchange rates to different types of localized banks, it’s beneficial to work with a flexible payment service such as Remitly which is partnered with thousands of local banks. From employment and cost of living to how much you need to save on a day-to-day basis, even the smallest aspects of your financial situation deserve your undivided attention. Expats are in a unique situation when it comes to finding a spot to settle down, with job opportunities oftentimes being the deciding factor. Although going “where the money’s at” is a proactive move, also consider that it’s ideal to also choose an area with a thriving population of fellow expats. Doing so makes it easier to both network and build relationships minus any sort of language barrier. The good news is that there are many immigrant communities sprinkled throughout the United States. Florida and California are popular destinations for many Hispanic populations; meanwhile, the likes of New York and New Jersey are hubs for workers abroad of just about any background. Perhaps an obvious question, but one worth repeating. The variety of work visas in the United States can be overwhelming, but are likewise crucial to understand if you want to avoid any red tape. Ongoing changes in immigration legislation could potentially cause changes regarding visas, so make sure your paperwork and legalese are well in order before finding yourself in limbo. Just because you’re working abroad doesn’t mean you should automatically settle for the first role that comes your way. While you clearly need to pay the bills, especially if your family is relying on remittance, you should also look toward a career path with growth. Again, this is why settling down around fellow expats is a plus. The more relationships you have with fellow workers and employers, the better chances you have at a white collar role with a chance to move up the career ladder. Coping with culture shock is a serious problem that’s easy to overlook when you’re laser-focused on money. Don’t be discouraged by the thought of discrimination or personal turmoil: simply know that you’re entitled to your emotions and such struggle are common among migrants from just about anywhere. As always, keeping a strong connection with your family back home is helpful. Talking out your problems is the first step toward overcoming them, as is finding ways to make yourself feel comfortable (think: coming up with a routine, keeping up with hobbies and so on). Related to the point above, succeeding as an expat requires you to look at the big-picture versus the short-term. Anything and everything you do to make a connection to your new homeland, whether it be following a local sports team or making a point to mingle in the community, represent a subtle yet significant way to assimilate. You can’t prepare for everything when it comes to living abroad, but these six questions are a good starting point. 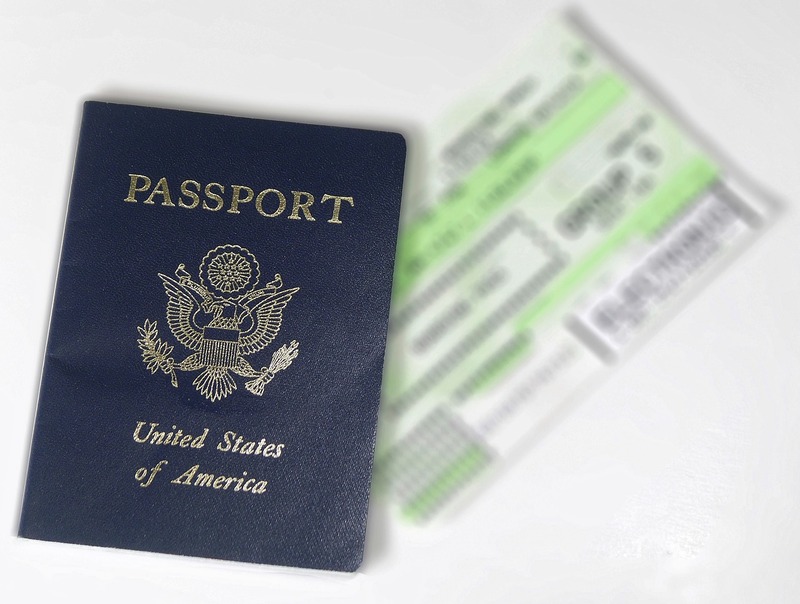 As you figure out the answers for yourself, you can provide yourself with some much-needed peace of mind on the next step of your journey to the United States.